I (obviously) have to have enjoyed the movie. Technical merit counts (animation, sound, etc…) but its the sum of all parts, so if I’m not entertained for the duration, then you’re not making the list. 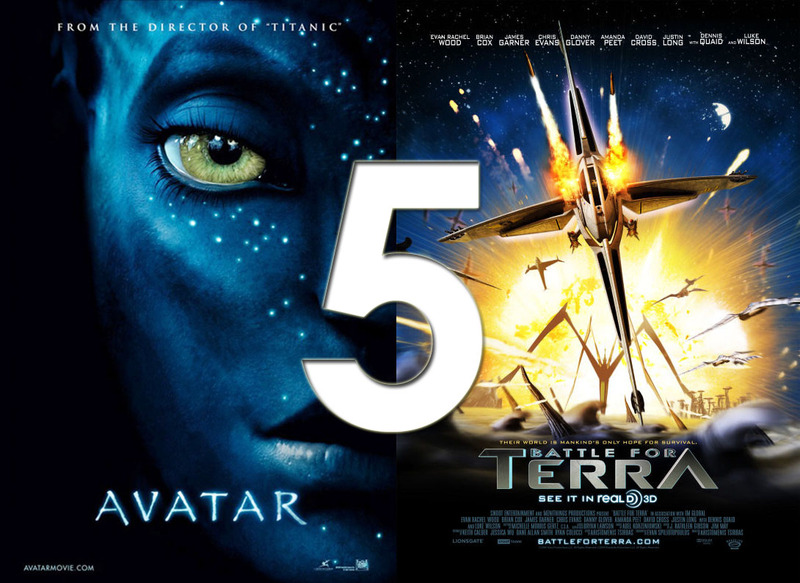 Before we get to the best let’s look at 3 that missed the list, and then the WORST Animated feature of 2009. Cloudy With A Chance Of Meatballs – In lesser years, this movie would’ve been nominated for Best Animated Picture. Too bad 2009 was stocked with good animated movies, Cloudy powered through its silly premise with great characters that were not cliched, but genuine. 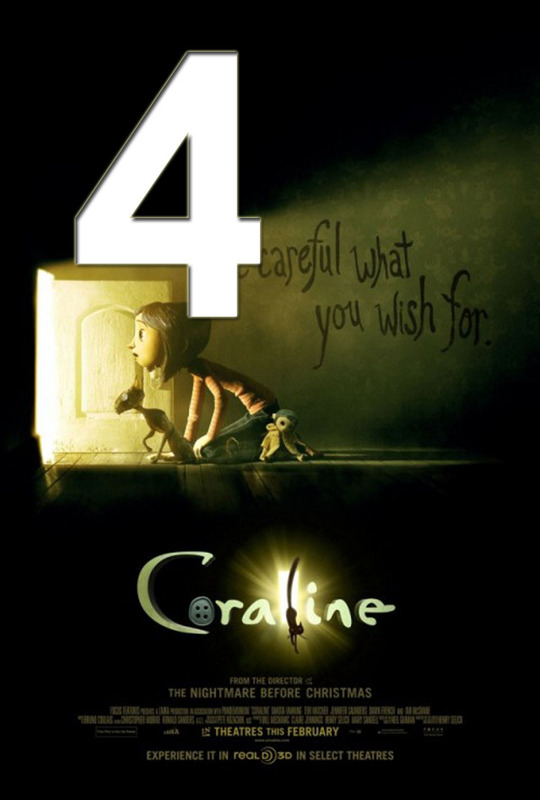 Coraline – Coraline was the first animated feature I saw in 2009, and it definitely set the bar for the year. I was happy to see stop-motion come back and make an impact. The Neil Gaiman story coupled with Henry Selick, the director from The Nightmare Before Chistmas, Coraline was a movie filled with grit and darkness set to wonderfully gloomy fantasy world. Grit and darnkess are two qualities that animated features have stayed from the past couple of years. It was good to see a film without the cute cuddly characters. 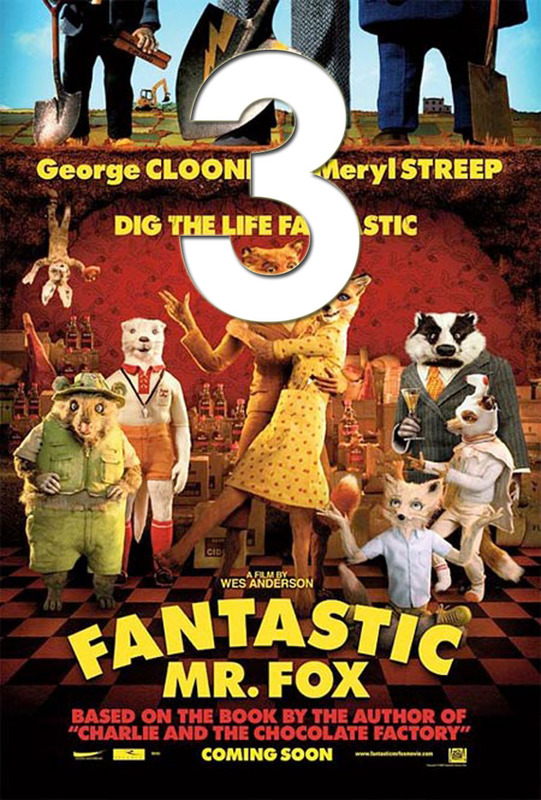 Fantastic Mr. Fox – Way to go Wes Anderson! I loved the fact that he took on chance on something he’s never done before, and that is direct an animated feature. Like Coraline, Fantastic Mr. Fox did went the way of stop motion and did away with cute cuddly protagonists. What was left was an odd, yet satisfying animated film about a bothced heist. The highlights of the film was not the animation, but was the dialogue between all the characters, specifically George Clooney. George Clooney proves once again that he is great when it comes to those subtle nuanced acting performances. I actually think his voive performance in Mr. Fox coupled with Up In The Air, George Clooney should’ve won Best Actor this year. But I guess Jeff Bridges was good in Crazy Heart. 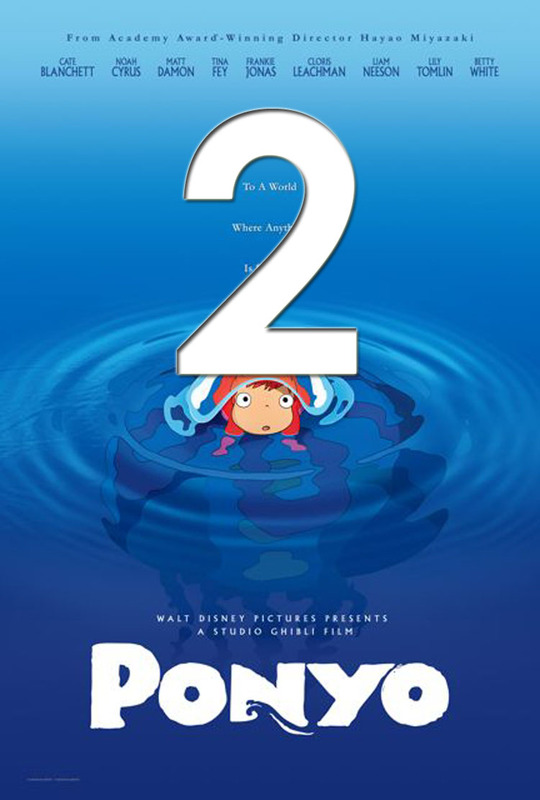 Ponyo – I think Ponyo deserved to at least be nominated for Best Animated Picture at the Oscars this year, but whatever. I think the big knock against Ponyo was that it wasn’t as epic as the last few Miyazaki films, that it was too kiddy. 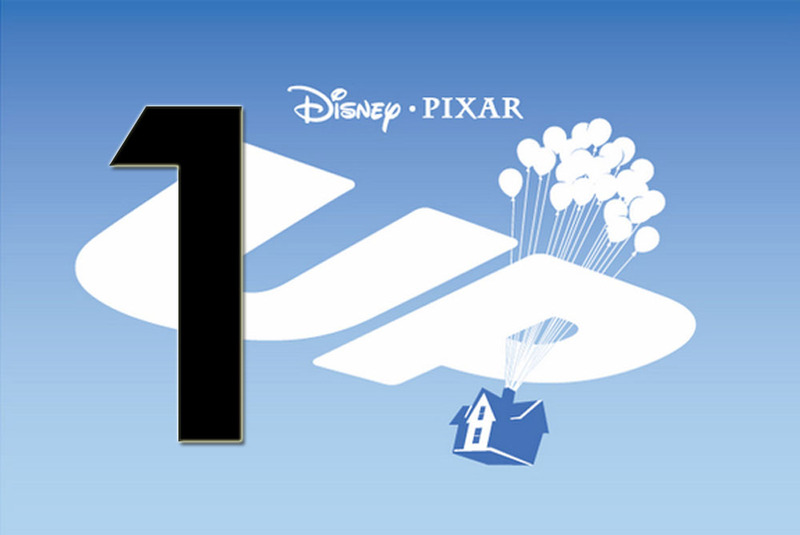 But in that respect, as a film made for kids, it stands head and shoulders above the other animated movies that came out in 2009 that tried to appeal to both kids and adults. Miyazaki knew what film he was making, and if you let yourself travel back to childhood, what Ponyo is is a magical fantasy with great muted pastels and watercolor backgrounds paired with a touching emotional story.